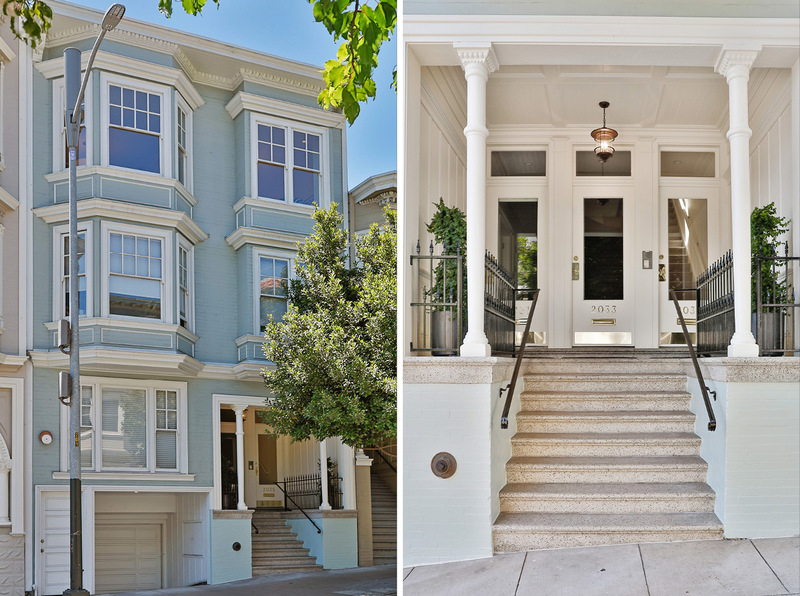 Lovely updated upper flat in a superbly located Russian Hill 3-unit building. 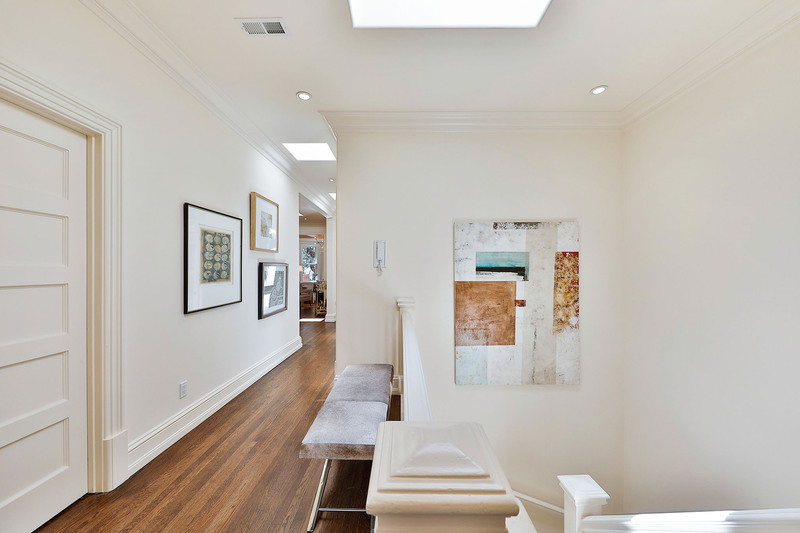 Flooded w/ natural light from east & west windows + 6 skylights. 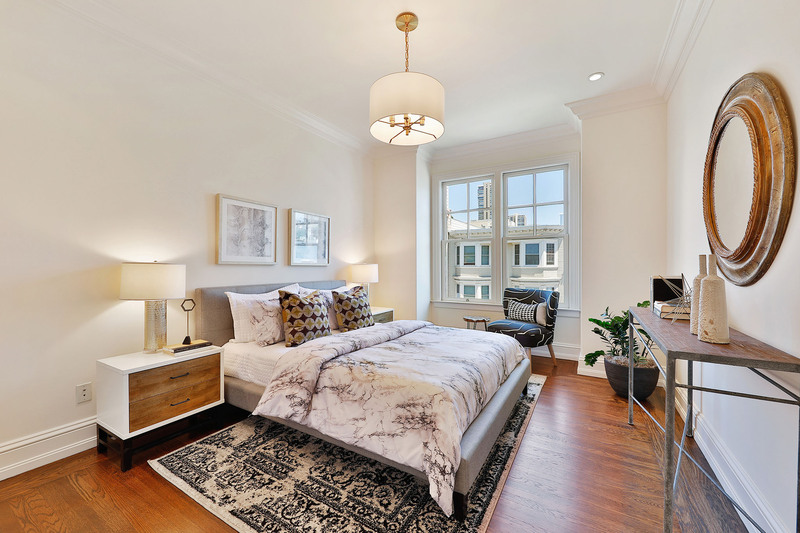 This lovely updated upper flat in a superbly located Russian Hill three-unit condominium building is flooded with natural light from its east and west windows and six skylights. 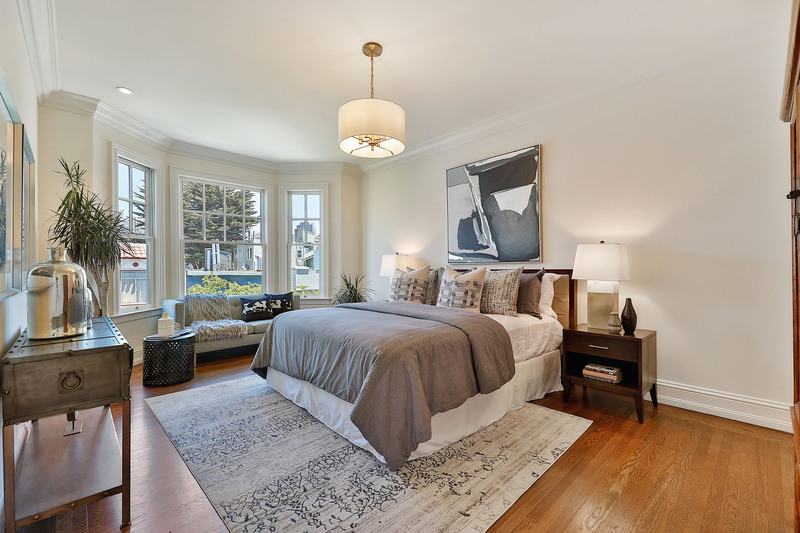 Classic walnut-stained oak floors, neutral finishes and recessed lighting are found throughout. 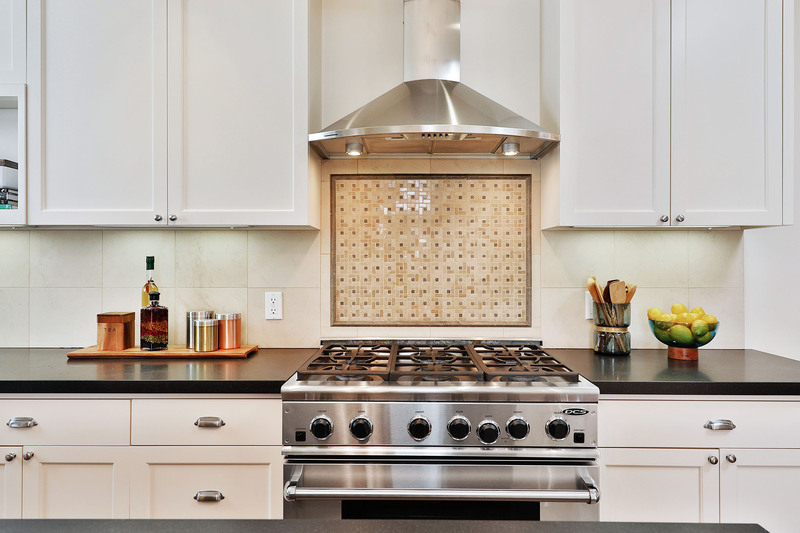 The central kitchen is smartly designed. 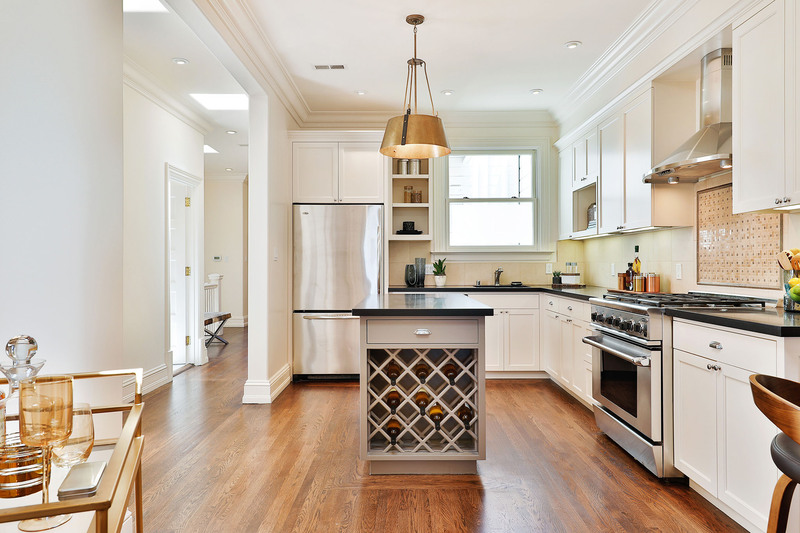 It includes off-white painted wood cabinetry, black granite counters, six-burner professional gas stove with stone mosaic backsplash, window over the sink area and center island with wine rack. There is space for a breakfast table and even your favorite bar cart. 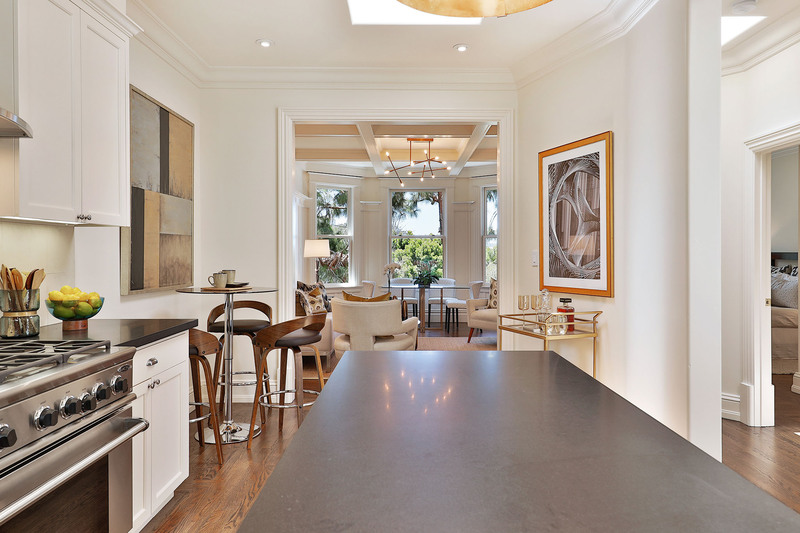 A beautiful brass light fixture provides the finishing touch over the island. 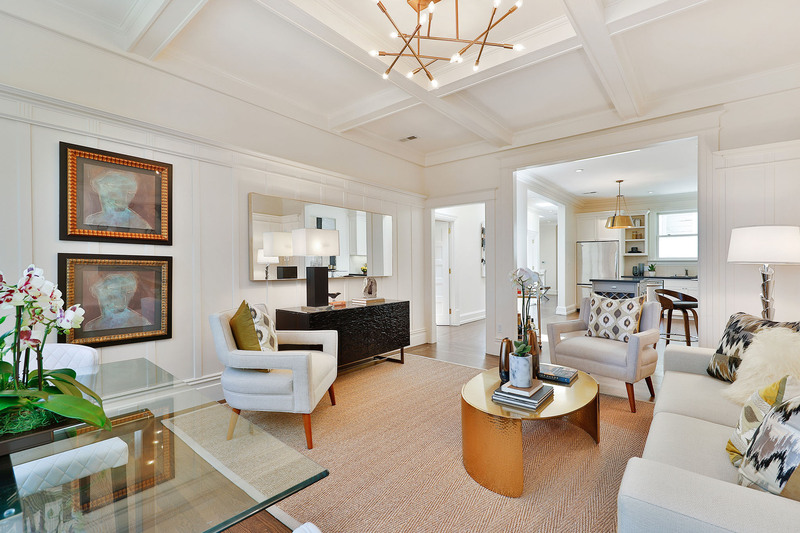 The floorplan is perfect for entertaining or quiet enjoyment. Directly off the kitchen is the living-dining room with box beamed ceiling, original tall wainscoting and contemporary chandelier. 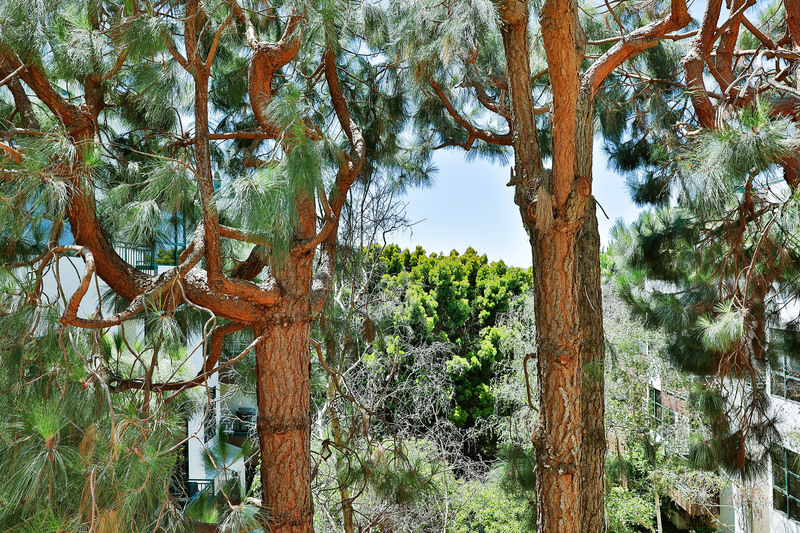 Sylvan outlooks past spruce trees into the landscaped neighboring courtyard to the west bring natural beauty into the residence. 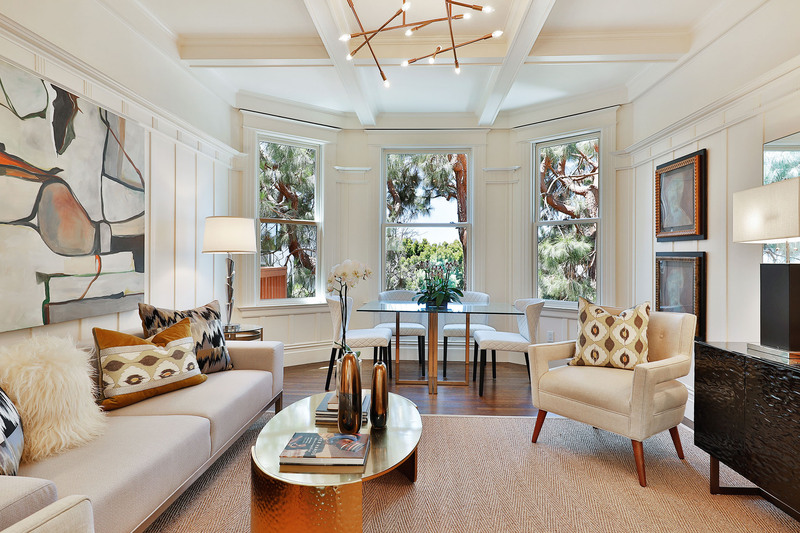 The flexible use of this space allows for a dining table plus plenty of comfortable living room seating. 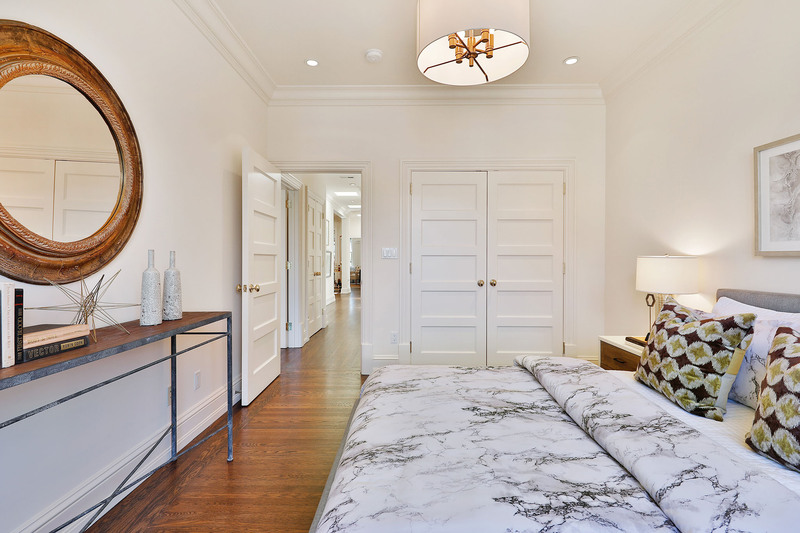 The master suite is located at the rear of the residence and includes similar sylvan outlooks, a large walk-in closet and ensuite stone tile bath with large shower stall. 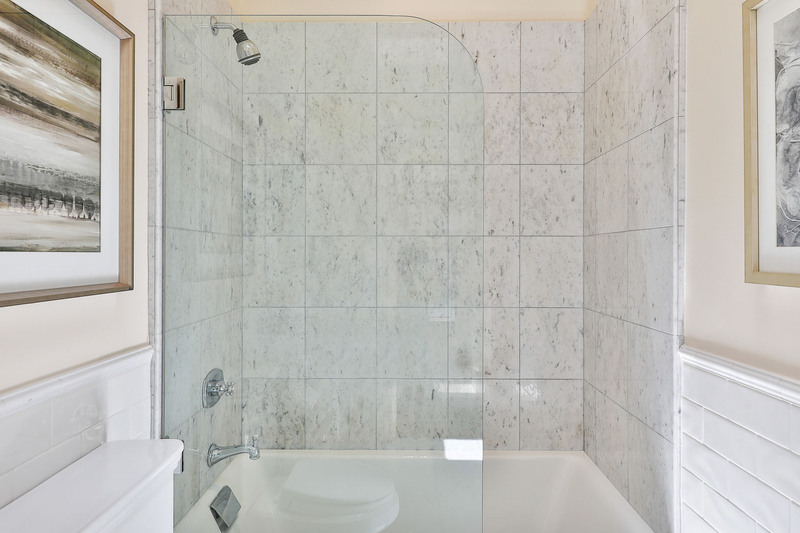 The additional generously-sized two bedrooms enjoy eastern light and City outlooks. 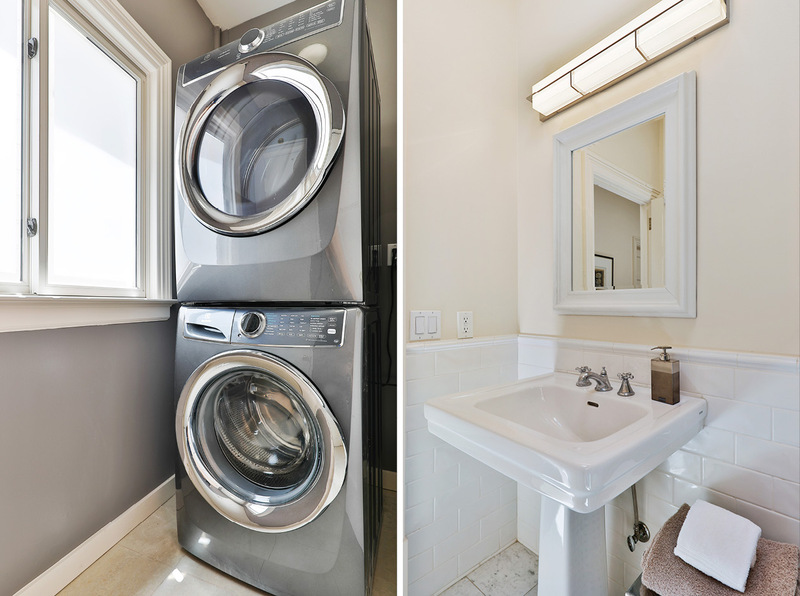 A hall bath with shower over tub, hall closet and laundry room with new washer/dryer complete this classic flat. 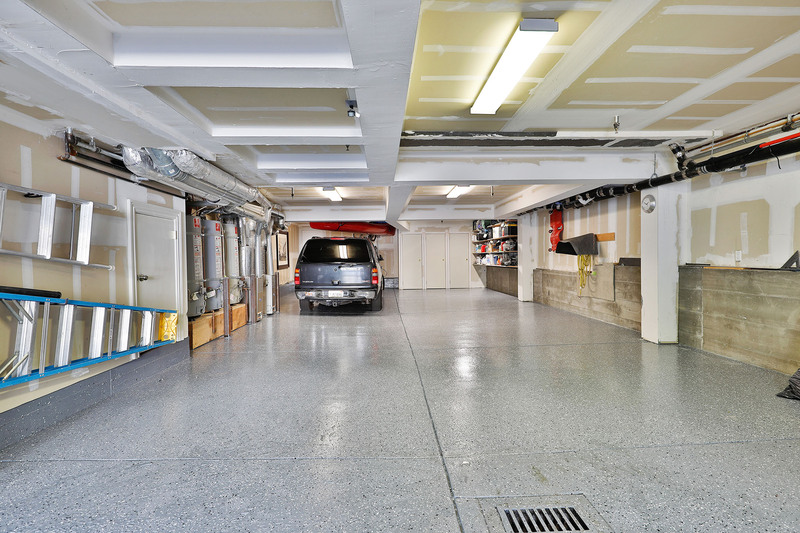 The garage includes one independent assigned parking space for #2035, storage locker and other designated storage space. The common roof area, while presently undeveloped, offers spectacular 360 degree views. 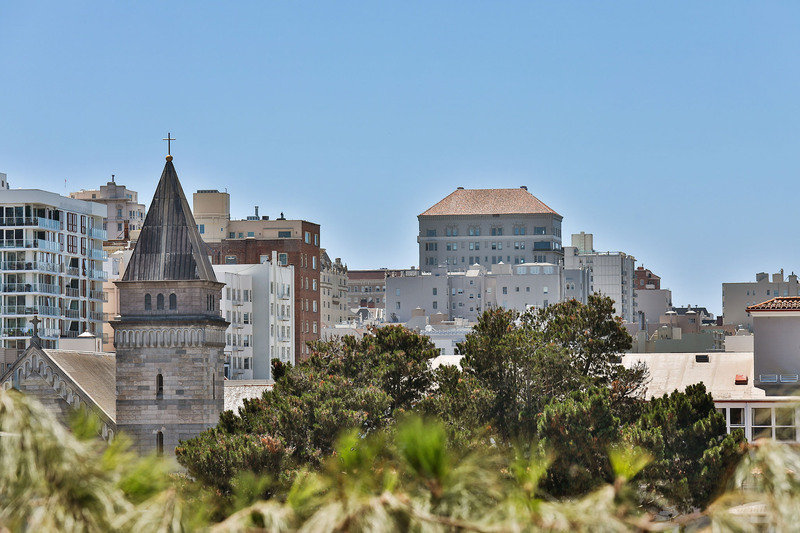 All this is in a location close to some of the best parks, shops and restaurants of Russian Hill, most notably on the established neighborhood streets of Polk and Hyde. Tech shuttle stops are just a few blocks away. 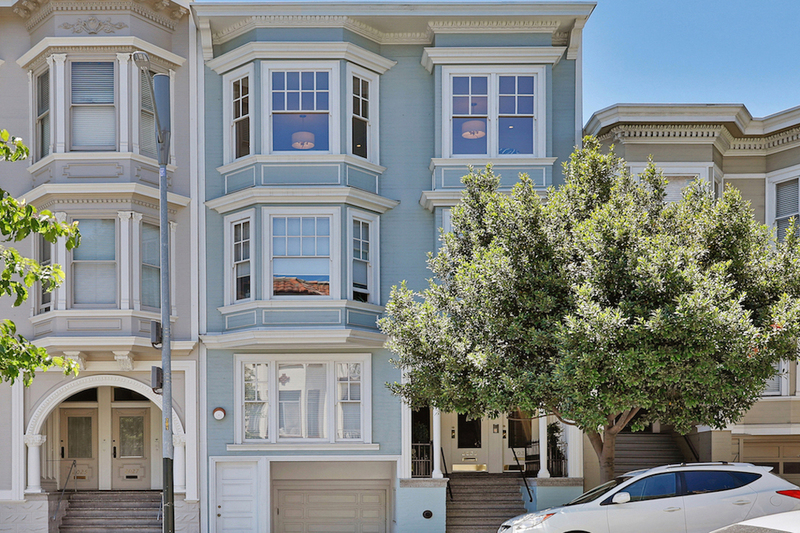 *Square footage per floor plan tech is 1740. Neither seller nor listing broker warrant sq ft; buyers are advised to investigate. Monthly HOA dues are $575. Dues include building insurance & maintenance, water + sewer, common area electric, refuse collection, accounting services, and a contribution to reserves. This is a newly converted 3-unit condominium HOA. Pet policy allows two domestic pets. 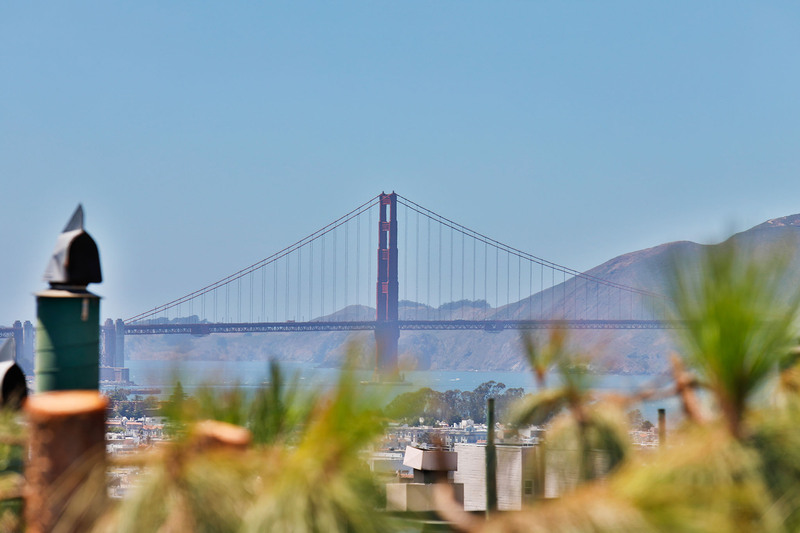 This Website is not the official Web site of Sotheby's International Realty, Inc. Sotheby's International Realty, Inc. does not make any representation or warranty regarding any information, including without limitation its accuracy or completeness, contained on this Website.